PPAP stands for Production Part Approval Process. It was developed by AIAG (the Automotive Industry Action Group) and it is an important part of their comprehensive Advanced Product Quality Planning (APQP) approach. APQP was originated to provide a common, standardized process for planning, developing and communicating the requirements and status of new products and services between suppliers and their customers. There are five phases to APQP; PPAP is triggered in Phase 4, Product & Process Validation. On the surface, PPAP can appear to be complicated and even overwhelming. Once it is understood, it becomes apparent that PPAP requirements represent the culmination and reporting of activities that any “good” supplier already does. The PPAP Process merely helps put the reporting of activities and their results into a structured and consistent format. 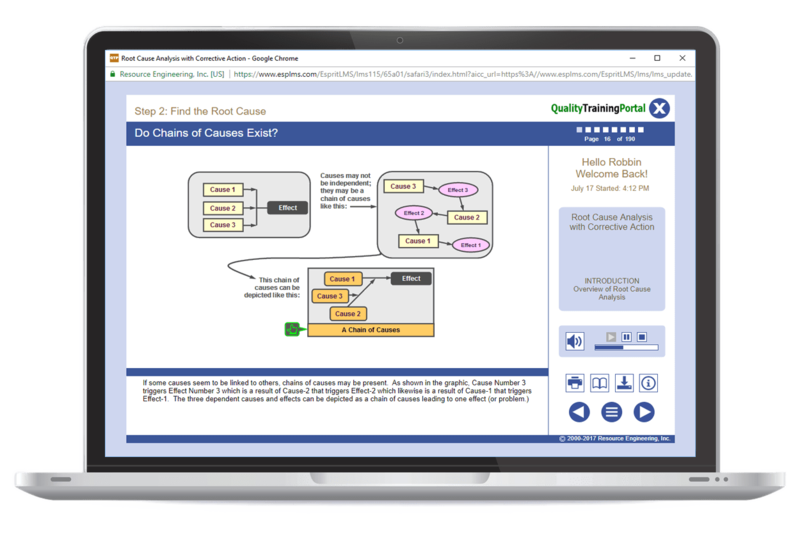 This PPAP Training online course teaches learners what PPAP’s are, why they are important and how to conduct a PPAP by fulfilling all 18 elements of the PPAP Package. Fundamentals of APQP – To have an in-depth understanding of the overall APQP process and how PPAP fits into that process. Explains what the PPAP Process is. Explores why a PPAP should be used. Discusses when PPAP is needed. Introduces how the PPAP Process is conducted. Explores each of the 18 Elements of the PPAP Documentation Package. Reinforces how the PPAP Process fosters customer-supplier trust. Confirms that PPAP documentation is based on data. Reviews documentation requirements for Bulk Materials. Recaps requirements for part submission, retaining documentation, Master Samples and shipment samples. Explains "Reasons for PPAP Submission."